While there was prior knowledge of the role of Ohr as an FBI intermediary between Fusion-GPS, Chris Steele and the FBI during the original counterintelligence investigation, the new documents show Ohr continued in his role well into Mueller’s appointment. In essence, after the FBI claimed to have broken off formal use of Chris Steele; and long after Robert Mueller took over the investigation; Ohr remained an intermediary between Chris Steele and Robert Mueller’s special counsel team. Obviously this begs the question: if the special counsel was simply investigating the truth of the dossier, why would Robert Mueller want/need an intermediary as opposed to directly being in contact with, and questioning, the dossier author directly? […] The documents also show that Nellie Ohr sent numerous emails and reports to Bruce Ohr and other Justice Department officials on Russia issues. Tom Fitton’s likely accurate (highlighted) statement above; showcasing a compromised intent; would explain why Mueller’s team would need an intermediary. Nellie Ohr and Chris Steele were the authors of the Clinton-financed dossier. The dossier was the primary evidence for the entire corrupt investigative enterprise. The dossier is the lynch-pin of evidence that validated the Title-1 FISA warrant used against Carter Page and all campaign officials therein. As a direct result of the origination, Mueller’s later mandate from Rosenstein is based on that dossier. As a result, inside that dynamic there is a motive for Mueller’s team to stay away from discovering anything that might invalidate the dossier if they wanted to: (a) continue the appearance of legality for the prior exploitation; and (b) continue extending the investigation that is dependent on the dossier. If things went sideways, direct contact with the central witness and dossier author removes plausible deniability. Indirect contact, via an intermediary (Bruce Ohr), allows retention of plausible deniability and continuance of dossier use. The document pdf file is here. CTH is reviewing the information overnight tonight. ADD: This is the same reason why Christopher Steele and Glenn Simpson are not on the witness list of people and entities announced by House Judiciary Chairman Jerry Nadler. This entry was posted in AG Bill Barr, Big Government, Big Stupid Government, Clinton(s), Conspiracy ?, Decepticons, Deep State, Dept Of Justice, Donald Trump, FBI, IG Report FISA Abuse, media bias, Notorious Liars, President Trump, Professional Idiots, propaganda, Spygate, Spying, TowerGate, Uncategorized, White House Coverup. Bookmark the permalink. Will just post some pages with dates. Timeline can be checked later. The next are interesting in that there are markups. I do not believe they are Glenn’s as they refer to Glenn. Difficult to read. Chris has info that can get us to him! TY, J F! All of these bits and pieces matter! Lots of stickies in SD’s office! Don’t forget: “Alfa”. As in: Alfabank. Excellent, mr. Piddles. Will have to review after COB tiday. That last part RA CH do lomm. in the USA Atlanta…are they referring to a business/bank??? And page 35 if anyone can decipher. I see the startiing words and posting to Facebook. Is anyone here a physician’s assistant? His default is to keep his head down. Thank you so much nonniemae! I have not seen such bad handwriting ever! It almost takes squinting! Exit Tues next week. Avoided media. Serious potential issue. Said prism alive and well. Posted Face Book. Don’t … his clearance to speak to me…it gets into a real… His default is to keep his head down. He’d be scared if we just showed up. .. me if customs is (profile?) from.. may need help quickly… another guy who… has reached out. handwriting is so bad why bother blacking it out. These crazy psycho spies acting like little kids. They actually thought someone was in danger? The Trumps are not the Clintons, Bruce. Sheesh. So true, covfefe999. Meanwhile, at one point, Bruce Ohr was head of Drug Enforcement, from what I read. WTH, it seems he spread them rather than confiscate them. So, from page 36 to 47, there is a lot of information, except the writing stinks! If anyone can assist, it would be helpful. Also, assuming we are looking at Bruce Ohr’s notes, there is a note pad from Air Force Inns, DOD hotel/motel lodging properties, so someone who used the note pad may have stayed in one of these once or multiple times. This wasn’t just some fly by night Susan Rice comment to cover her own bosses, this was the motto. In quotes, my friend. You can’t go “by the book” without the quotes, it seems. Wonder if they all walked around HQ using air quotes with the term. Not that there’s anything wrong with that. Yes, I noticed that. Interesting that even scribble like this takes the time to put this under quotes. This type of handwritting is often the result of a multi tasking scribbing. May be juggling holding the phone, and eyes maybe focused on a computer sceen or the road, the hand writing is going to be bad. His is not all that bad. The thing is none of it proves anything without the context, heck he could writting about negative affirmatives, proving that is like proving state of mind and with just one or two keys words hanging in the balance on meaning of these scribbed notes, all it takes is for the him say, well that word you can not read is not laundered but laundry, and the next thing is some lawyer is shoving words into your theory. As far as I am concerned, oath or no oath. Genn Simpson is guilty of lying right through his teeth on numerous occassions to Oversight based on what I been able to read in these documents. Agreed. However, I believe many of these words may provide context or support for other actions. Like ‘International Energy Capital’, scribbled on the vertical edge of a note pad, Papadoupolos’ company. Oh, oh…did I put everyone to sleep? Oh, thank you, PoCoNoMo! I love when SD throws out a research session! Sometimes it is in the weeds! Gosh WSB-TY! I was getting some work (for pay) done and just checked in again. Have you seen dates later than 10/7/17…that is darn late still, imho. Wasn’t the final FISA approved in June 2017, which would make October past FISA enabled “investigation”. So is there a possibility that this intermediary role lasted even longer than October? 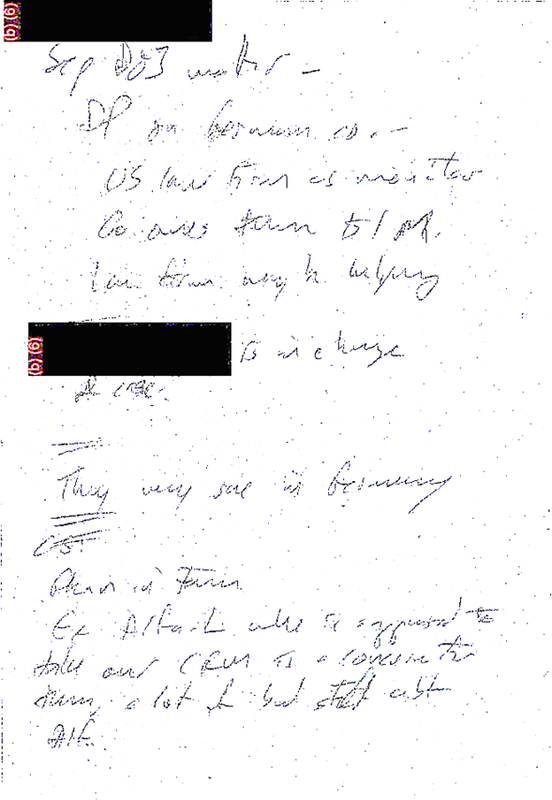 And from the notes translated by nonnie above, seems that the Ohr/Steele/Simpson conspirators are very focused on what Congress knows or is being told, legal issues and “keeping ones head down”. All tells for deliberate, and with knowledge, wrongdoing/crime it would seem. wtsc…thanks for checking in! I am only doing this because one of my meetings was cancelled for tomorrow! I am reading page 69, however the dates do not correlate. However, there is a lot to find here. We have alraedy uncovered Carter Pages’s company here. Looking for more! Don’t? ? ? sure to sp?? ?????? has reached out ??? From those pages until page 55, there needs to be a lot of deciphering! Now, I am on page 55 and starting to see names to research. Lisa Holtyn – Senior Intelligence Adviser for the Criminal Division’s Organized Crime and Racketeering Section. Prior to joining the Department of Justice, Ms. Holtyn worked for the Departments of Defense, State, Treasury and an unnamed UN organization. During her career, she’s focused on organized crime, money laundering, immigration fraud, arms control, nonproliferation and Eurasian affairs. In 2017, Ivana Nizich was a General Attorney at the Offices, Boards and Divisions in Washington, District Of Columbia. began working at the Offices, Boards and Divisions in 2007 with a starting salary of $93,822. Since then, ‘s salary has increased to $161,900 in 2017. Ivana Nizich is a GS-15 under the general schedule payscale and is among the highest-paid ten percent of employees in the Offices, Boards and Divisions. Thank you guys..you treepers are utterly superb. Global Energy Capital website leads us to Carter Page! Same guy? Different guy? Trump’s Carter Page is the founder and managing partner of Global Energy Capital. In the PDF, the dates in between the typed pages and these notes are 11/27/17 and January 20, 2018 I am assuming. Then there is another note on January 21, 2018? I assume, with what looks like a conference room number 5853 at 10:30 AM. With the words ‘serious potential issue. So, we now have a connection between Bruce Ohr and Carter Page’s company. I do not know if there already was or not, just guessing. By scratched pen. Just finished reading 58 through 60. Never read anything so Russianly funny. Honestly, if anyone has ever read Russian literature (I did some high school and college) and wants to read a current day account that mirrors our own country looking like Russia, nothing Is better. Have at it! Then I get to the bottom of the page and suddenly, reality takes over. Nellie is emailing in Russian and speaking about a missing person. This is September 5th of 2016. An active agent, IMHO. The words are a smack in the face. Re. “missing person” or one that has “gone to ground”–I’m trying to remember the man, linked to MIfsud and the Institute in Rome. There was chatter at one point that he might have been killed, then some of the Dems said, oh no, he was safe but in hiding. Will try to find via additional search who that is. Might spark memory from one of you, though. Oh, it IS Mifsud (old memory kinda/sorta working). I suspect that SD has a really good timeline that he keeps so he can compare dates from these releases with later revelations, to help interpret it all. I believe that was Mifsud. 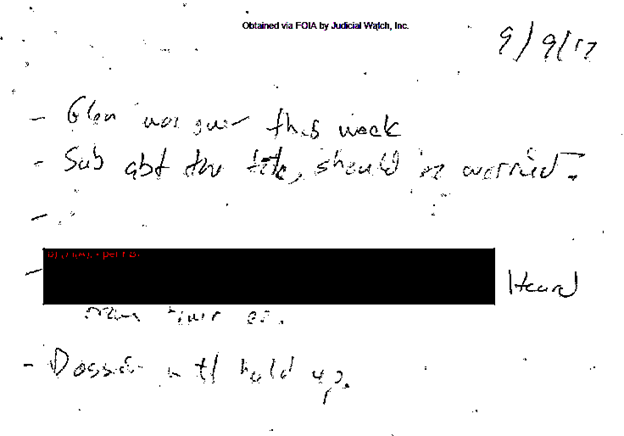 BTW, page 50 is oddly redacted, however, I can see writing underneath the faded redactions. Not sure why these faded redactions were done, but maybe a treeper can extract the writing in Photoshop. Otherwise, let me know. The weekend is close! Once I asked my condo board for copies of the board election ballots. They were sent to me as a PDF with the unit owners name redacted. I printed them out to better see the ownership percentages which owners had written in. In doing so, I happened to have my bright desk lamp on. I noticed if I turned the top of the ballot to an angle under the lamp, it revealed to owners unit number under the redaction. It probably had a lot to do with the means of redaction (Magic Marker). Nice work you’re all doing. Yes, thanks for the tip. I was able to do a bit of that on my screen, however, this page will take a bit of time. Will look into it. Sep(tember)) (?) 03 matter. DP (Protocol?) on German Co. US law firm as matter. Company owes firm 1Million Dollars. Law firm (may be helping) REDACTED in charge of case. They very (sure?) is (in?) Germany (They may sue in Germany?) (CSI) … in firm. Ex Alfa L … is supposed to take over. (?) to a (?) in the firm. a lot of bad stuff about Alfa. ended up having more work to do today, so could not continue on the pages. Again, thank you for lightening this up, assuming ‘curves’ in Photoshop! Chris. 1/25//17. Very tough update. He went to gd (ground.) Probably because journalists asking Q’s. He lay low. Near semi (merged.) REDACTED. They will reach out to him tomorrow to see where he is. Absolute Gem. Soooo somehow Snowden is involved in some of this fake spy thriller???? WOW. 3/12 G letter. Invite Guy. What immediately stood out to me is that Christopher Steele is very concerned about his source. 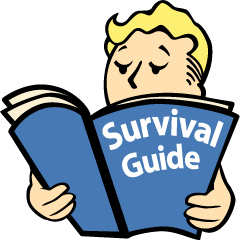 See pages 25, 29, 34, 35, & 36. I think that the source Steele is concerned about is the former Russian Intelligence Officer who lives in the U.S., who reportedly contributed much of the info about Trump in the Dossier. Simpson allegedly acknowledged that most of the information Fusion GPS and British intelligence operative Christopher Steele developed did not come from sources inside Moscow. “Much of the collection about the Trump campaign ties to Russia comes from a former Russian intelligence officer (? not entirely clear) who lives in the U.S.,” Ohr scribbled in his notes. In the case of the Clintons, Pigbama,Kerry Braindead Brennan and the Claptard, skip the trials. An execution would be far more appropriate. Now understand this mut Ohr, and his wife, remain employed by DOJ. I don’t look for Barr to do a damn thing. Maybe some of you know this, but Barr defended, pro bono, Fed Agents LON HORIUCHI and DALE MONROE for the murder of Vicky Weaver during 21-22 August 1992, Ruby Ridge, ID. https://www.judiciary.senate.gov/imo/media/doc/William%20Barr%20Senate%20Questionnaire%20(PUBLIC).pdf. Additionally, Barr freely admits his past and amicable relationship with BOTH Mueller and Rosenstein. FBI LON HORIUCHI shot and killed Vicki Weaver with a .308 rd. in the face as she stood in her doorway holding her [9 month old daughter Elisheba] in her arms. The round passed through her head also hitting Kevin Harris (adopted by the Weavers) in the chest. Harris survived his wound. Horiuchi also shot Randy Weaver in the arm. Earlier, 14 yr. old Sammy Weaver was shot in the back killed by U.S. Marshal LARRY COOPER after he (Sammy) took them under fire when his dog Striker was shot by agent A. Roderick after alerting on the group of FBI/USMS hiding in brush on the family property. None were in uniform – their faces hidden by ski hoods. Horiuchi was charged with manslaughter and beat the charge Wm. Barr helped defend him on. BOTH Horiuchi and Monroe later participated in the Fed siege at Waco, TX. BOTH said they’d not change their actions had these incidents happened again. https://www.lewrockwell.com/2019/01/james-bovard/william-barrs-connection-to-ruby-ridge-defending-fbi-snipers/. 1. Randy Weaver was no “White Supremacist”. Nellie never worked for DOJ. Sorry I’m wrong, she did. Deacon Bob- thanks very much for posting all this. I too read about Barr’s connection to the Ruby Ridge killings and it has destroyed whatever faith I might have in the man. What happened there was indefensible. I don’t think we can expect someone with blood on their hands to suddenly do the right thing. I really don’t like the FBI. I was fairly young for the OKC bombing, but my old man always figured it was an inside job. Something about alot of people not at work that day. “Can I start with the basic proposition that I think we would all agree with, and that is that government agents are bound by the law, the same as the rest of us. They’re bound by morals and by justice and by decency, the same as we. Boy, do those words ever ring true right now. My timeline looking forward would be: 1) Rosenstein retires/resigns in a week or so; 2) Mueller sends his report to AG Barr in May; and, 3) AG Barr appoints a new special prosecutor to go after the lot of the. I sure hope so, anyway! You forgot: 2.a.) Mueller report is promptly leaked in full to every Anti-Trump news outlet known to humankind. is there any check/balance on the redactions? FOIA requests are essentially meaningless if the target of the request has free rein to redact anything they like with only the most tenuous justification. Will Hunt- agree. Every time I see those redactions I feel like someone just gave me a giant F**** YOU. JW has had these documents for a year. I wonder why we’re seeing them now. So far Barr is throwing another no hitter, just like the 2 stiffs before him. There are dozens of obvious criminals, pick a name like Podesta maybe, given today’s events. That’s hope? We are being played again. March 15th is the day you want to check-in on. That’s the date he’s supposed to respond to Jordan’s recent letter. So far, I don’t think we’ve heard anything negative from JoeyD, so… cautiously optimistic. Headline from March 2020: A large mass grave was found at the Clinton compound. At least 50 bodies have been recovered. Surveillance video shows that Hillary and Bill were caught dumping many of the bodies. April 2020. The case was dismissed by the DOJ because, according to officials, no reasonable prosecutor would take the case and no intent could be established. There have been multiple firings/resignations from DOJ/FBI but Bruce Ohr (supposedly demoted?) remains in place. So there are many still there that are just as crooked as the ones that left. Not that it has made much of a difference so far, but wasnt there comments last year or so about having the rats still employed gives the IG and therefore hopefully the AG access and more control over them? I think the Ohr’s are the lynchpin to this whole farce. And wouldn’t evidence of this nullify the Mueller probe? Can you imagine how much damage he has done to innocent people over the hatred for Trump, but more certainly.. to protect Obama and Hillary?! I was one who frequently made that argument but now I’m not so sure. The government typically maintains much more leverage over current employees than it does over former employees. Failing to cooperate with ongoing investigations or lying to investigators simply adds to the charges, including criminal charges. Once they’re out the door, that leverage disappears. yes. that’s my point. May be why ole Bruce is still there. That is my strong suspicion too. The control over Ohr is enhanced while he is employed. The smoke continues to billow up over yonder ridge. We shall see what sort of integrity Mr. Barr has, sooner rather than later. If he is Bondo, as SD suspects that will tell us the rule of law has been usurped and replaced by the binary “One rule for me, and another rule for thee.” as a permanent feature of American law enforcement. 75% of the DOJ “lawyers” are crooked leftist commies. Its institutional. The entire DOJ frankly needs to be dismantled, you will never have justice as the DOJ is currently constructed. As usual, Tom Fitton and Judicial Watch is doing most of the heavy lifting on DC corruption. I would encourage anyone who is able…..to donate to their cause. If Barr continues the cover up he should be asked why government agencies can’t perform to the same level as the much smaller resourced Judicial Watch. No question you are correct in your reasoning, Sundance. And even a short decade ago, there would have been at least a few true journalists–smart, aware, professional, and strongly aware of their important role in a true democracy– who would have been shouting this truth from the front pages of the NYT or WAPO or CBS or NBC or some other mainstream outlet that took great pride in their role as watchdog over our government. It’s so amazing and sad that the only people doing it today are unpaid bloggers!! I agree 100%. The corruption in the media, particularly the “news” media has, IMO, done more to diminish and weaken this country than anything else. I believe the level of corruption we now see could only be driven from the top down. As a corporate policy to tune and time the information broadcast and printed (or not) to support their information campaign. If even 50% of the media did the work of Sundance the landscape would be entirely different. Heck, 5%. It would only take a couple that were dedicated. We have that via internet and other sources but none in MSM that are working journalists, as opposed to opinion writers. There are a few decent opinion writers (Kim Strassel comes to mind), but she is not the one that will devote much of her life combing through the docs and putting pieces together. This is a citizen and independent journalist led effort. Kind of like when we broke away from mother England. What does it matter what Judicial Watch uncovers, nothing happens; they have uncovered many, many items related to this hoax, Mueller still going, but ‘it’s ending soon’, NOT, and the left is continuing the persecution of a sitting president, if it wasn’t Trump, they be doing this to any other republican. It is always darkest right before the morning. These discoveries of the FBI and DOJ collusion with coup plotters continue to overwhelm me with how huge this problem is. In the meantime there are some of my friends and family that are livid with hatred against not only this President but all of his supporters. They are truly and firmly convinced that he, and those who support him, are the ones that hate this nation and hellbent to tear it down. Never ever thought those words could go together to describe people I’ve known my whole life: livid and hatred. Yet that is what the propaganda from the media is doing, tearing these people apart with delusional anger. Just like the comparison this morning on the news talk show of how the reporters are comparing what that R. Kelley did to Justice Kavanaugh as if the two are interchangable for their ‘deeds’, one actual deeds the other lies created by the propaganda machine – those people buying into that will never accept they were lied to, I sense they want blood. The divide is that big. It’s beyond Eeyoreness, so am asking early on that those here who pray to add prayers to the upcoming July 4th celebration in Washington, D.C. for safety and joyful celebration, that the Lord create the pathway for peace even in the midst of the darkness doing its best to destroy this most beautiful nation. Perhaps a public hanging during the festivities of all involved in this unlawfulness would bode well for some much needed justice and unity. Obama should be first to make the drop. Unfortunately, those on the other side of the spectrum also would like to see a public hanging, with the current WH occupant being the one to make the drop. How does this nation, us, the people, heal that? all people like Dobbs and other commentators could see was that the President, through his daughter, were betraying their base. I thought, no, he is keeping his promise, to heal this nation. I’m just at a loss on how to make inroads with friends and family I know are brainwashed by the propaganda, and not make myself their target. For what it is worth, you are not alone. I am pretty much a pariah in my family at this point. It is not a comfortable place to be. I do think that I have planted seeds of doubt. Before opening my eyes to the corruption of the US government/MSM, I believe that I was regarded pretty sharp, so I don’t think my opinions are being totally discounted. All I need is one high official to get indicted & put on trial and I think world views will begin to radically change within my small circle of friends and family. I suspect that will be the case in a lot of families. There will be NO healing without justice….NONE….we can discuss “healing” once real JUSTICE has been dispensed. I think that justice and healing can happen together, justice by Barr (hoping he’s the man for the job) filing charges, and healing by letting the President continue to make room at the table for those who view themselves on the other side of things. And, I do think that Pres. Trump is the perfect man for the job. Barr, that’s still open for debate. Wray, he reminds me of the blonde in Valley Girls, airhead, so I look forward to him stepping down sometime before summer if in fact Barr is the man for the job of getting justice back in line. Agreed. It will come though, PDJT is too powerful and well connected for that not to happen. Does anyone think he would run in 2020 with the spectre of this horse sh*t hanging over his head. He would “ damn the torpedoes “ At least that’s what my money would be on. Maybe we forget that PDJT has many powerful friends throughout the world. I think he is playing these bass turds like a 30 lb Spring Salmon. what does this mean for us? I’ve read it and Bruce never names names. It just goes back to the same point we already know. EXCEPT for the parts about Steele (which we knew) but specifically OTHER British agents in the room with Steele initially. Before all the detail, the significant things for me are 1) when/why/how a a DOJ lawyer became connected to the FBI on the Trump-Russia investigation; 2) How was that connection handled by the FBI; 3) When/why/how he allowed himself to be a conduit (fact witness) rather than telling Glenn Simpson of Fusion GPS he needed to talk to the FBI himself. Amazingly to me, it seems the FBI investigative team had no qualms about the connection/conduit/handling of Mr. Ohr. My biggest question is: did Deputy Director McCabe inform Deputy attorney General Sally Yates and/or FBI Director Comey about Mr. Ohr’s involvement early on in the Russia investigation? If not, why not? IMO, neither is lying. The conduit arrangement through Bruce Ohr was apparently not a problem…for Mr. Ohr, Mr. Simpson, the FBI investigative team including Deputy Director McCabe. I guess we will have to wait on Director Mueller’s report to know what the Deputy attorney generals (Yates/Rosenstein/Boente) and FBI directors (Comey/Wray) thought. “no qualms about connection/conduit/handling of Mr. Ohr.” How can that be? Based on the late 2015 communications (pre-Russia gate) in this JW document dump, it appears that Nellie Ohr was a CIA Russia analyst charged with reading anything and everything about Russia, likely screening and funneling valuable stuff to superiors within CIA, and also regularly feeding her husband at DOJ intel that pertains to his role in supervising international crimes and drug smuggling. CIA is reported to have “plants” in many agencies, and the Nellie/Bruce connection is likely just a garden variety covert inter-agency sharing mechanism that had been in place for a long time. My guess is that in late 2015/early 2016 they were both asked by their superiors – JB to Nellie, LL to Bruce – add this Glenn Simpson project to your portfolio. I doubt they ever questioned their bosses, were not part of the strategic planning team, just did their jobs. When the Administration changed, and bosses changed, and the OIG came knocking on Bruce’s door, he is likely to have spilled everything he knew, perhaps first vetting with Sessions that this was his new direction from the new administration. Again, just doing his job. Why is he still there? Because he did what he was told/he and his wife were serving two bosses under cover of IC direction. And they’ve likely been very useful to any work done to get to the bottom of the whole mess. That’s a good read on the situation. I can see that. It was interesting seeing a bit of Nellie Ohr’s correspondence with her husband in the FOIA request. 1) Another set of docs to compare with this set, and put the pieces together. It appears that Collins’ release will not have much, if any redaction. That alone is huge. 2) The beginning of release. From the Daily Caller piece (link below0 it sounds like more docs from Congressional interviews will be forthcoming. I think perhaps the Congress is becoming more alarmed over the crazy Left, recent nonsense (as in no censure for Omar), subpoena of 81 people from the wretched Nadler, and maybe someone has explained how Mueller and McConnell have twisted POTUS in knots re. release of docs and threats of obstruction. Yes, you are right – this is a good old boys operation. Don’t expect anything from Barr. Here’s an EXCELLENT piece from The Federalist that ties it up very nicely: “35 Key People involved in the Russia Hoax that need to be Investigated.” A great compendium and digest of much of what has been presented by Sundance. Your right, this is a excellent piece. Now, one little question that keeps reoccurring to me. If 5Eyes can spy on the people from a member country, then why would Obama, need the FISA warrant on Carter Page or members of President Trump’s campaign? Only, one answer is possible – he didn’t. The FISA warrant allowed the small team to bypass the middleman and spy directly, in real time, in order to better execute the coup (i.e. “the insurance plan”) on PDJT. It also retroactively made legal the spying/unmasking of US citizens that had been going on by contractors. Joemama, what your saying could be true. Whatever plan the members of the coup had, it needed to look plausible. Otherwise, 5Eyes would have become the focus. Ask yourself these questions. When did the spying on the Trump campaign turn into a legal coup, January 2017. So why would you risk the exposure of your team of spies in October of 2016 by issuing the warrants. Just fade away, into the swamp. Some have said that it was because, they thought Hillary would win. Professional spies don’t do rage. My nagging question to anyone, is why would a retired MI 6 spook HATE Donald Trump so much? Why would he care? I know the premise is pure garbage but why doesn’t anyone ask that question? Because he was not retired, just following orders. The Gateway has confirmed on several occasions that Steele was not retired. The one, I like the best is that Steele was seen going in and out of a station here in the United States. This does not happen, if you are retired. The cover story is silly, though, no? This is very clearly a cover. My belief is that GCHQ never left the picture and neither did MI6. Got to keep that 5Eyes relationship going. I just get stuck on the fact that it is an absurd cover. Why was judge Andrew Napolitano told to shut up by FoxNews and suspended. Because, his management was told to shut him up. Apparently, our free and open government has the power, to prevent information from being released. This must have taken a great deal of courage on the part of the Napolitano. Note: his story was later confirmed – Obama ordered GCHQ to spy on Trump’s campaign and Foxnews had to reinstate Napolitano. So it follows, that MI6 involvement and cover-up is not surprising. As for the Silly Cover Story. I would refer you back to the statements made by Hillary Clinton during the 2016 campaign. She challenged the intellectual capacity of the Conservatives too – don’t believe your own propaganda. If you take out the phrases “I don’t remember” and “I don’t recall” , you eliminate half of the transcript. I just wanted to remind people that both Peter Strzok & Nellie Ohr were (& possibly still are) CIA agents. Something to keep in mind for context, while poring through this material, especially the hand scribbles. It’s looks to be that couples from the CIA and FBI have been used together. So this operation was not a last minute thought. Now, it’s time to realize again, that Nellie at been working on this Dossier from late 2015. We know from other documents that at-least three versions of the Dossier were created. Who were they created by and who delivered them back to the FBI? So many disturbing issues with this matter. I would like to start with this extract: Judicial Watch uncovered that the Justice Department (DOJ) admitted in a court filing that the Foreign Intelligence Surveillance Court held no hearings on the FISA spy warrant applications targeting Carter Page, a former Trump campaign part-time advisor who was the subject of four controversial FISA warrants. The FISA judges involved would have to be grossly incompetent or very corrupt to allow spying on the President’s campaign, much less rubber-stamping the warrant request! Pointing, at the involvement of the supreme court in addition to the DOJ and FBI. This could be taken in many ways but the more likely direction is that Steele was never just a retired spy for the UK. This also seems to be confirmed by the reporting from the “Gateway Pundit”. Concerned- this is most urgent and important information you provided. I cannot even get my mind around it- we now know beyond a shadow of a doubt that this entire Witch Hunt was based on false information that was provided to the FISA court which did not even bother to exercise the most basic DUE DILIGENCE by holding a hearing on the application to spy on Carter Page and the Trump Team. I hope that Sean or someone manages to get this out there. Also, I am going to double my donation to JUDICIAL WATCH. They seem to be the only people able to get anything done in DC. Okay, if you like this, then perhaps I have something else helpful for you. I started asking myself who had the power/authority to order a FISA warrant without a FISC review. It came down to one of the following. President of the United Sates or the Gang-Of-Eight. Then was told that the Gang-Of-Eight did not have the authority and so it left the President. So what kind of warrant are we talking about – an emergency warrant, that can last for one year. Apparently this warrant must be approved of and distributed by the setting AG. Letter we learned from Sundance that then setting President in 2016 was tracking Carter Page in his ‘PDBs’. No need to wonder why. Side note: One year – October 2016 through August 2017. J. Edgar must be rolling over in his grave, happy as a clam in a corset, watching the FBI try to seize control of our government. And the latest from the honorable and patriotic rank and file……………………………………. Guess they’re all at lunch. Has anyone heard from the FBI storm Troopers that managed to take down the 66 year old politician – Stone? Your right, It’s well past time for any remaining honorable people, to have stepped forward. Trump needs to send Great Britain an ultimatum. Either turn over Christopher Steele to US Military Police and finalize Brexit by March 29 or all UK diplomats will be expelled, all UK funds frozen, sanctions applied, and The Federal Reserve Bank will be abolished by an Emergency War Powers Order. Great Britain, and its satellites, is the enemy of the United States and has committed a grave act of war against us. The Royal Family must be removed from power or put to death by military strike. This is the house of cards that must fall and fall quickly or civil war II and WWIII are on. Death to the British Monarchy and its “socialism” from above. Should we strike from bases in UK or Germany? Both, and from our bases in Italy. I called Collins’ office to thank him for releasing the transcript. Reading through it. It should have been released a long time ago by Rosenstein. He is too ivory tower. He does not have common sense of the necessity of managing people’s expectations and emotions, including the public’s, in a special counsel process he started. I just read the story and called the Congressman’s office to thank him. The woman who answered the phone (DC office) sounded very shocked yet pleased that someone called to thank him. (Or maybe she was surprised because I identified myself as a CA caller). She is probably still trying to find her chair. CRm isn’t clear but some key term. If Ohr’s notes, he’s being briefed on a DOJ case likely being brought against a German company where a US law firm is acting as mediator (to find settlement short of litigation). Law firm is owed $1M by company and may now be helping DOJ. May sue the company for its fee. Maybe that will help someone else figure out what it means. Is this Deutsche Bank maybe? “Alfa” is in the mix here. All I want to know is, is anybody going to get indicted for this???? Is any government agency going to do anything to right this wrong, or more of the same “so what?” from the people who should be responsible for all this? No, but why not expose to thousands or millions what these people were up to? Exactly! We need to do, what we can do! Colonel Mustard ate the cake at 1 PM, and washed it down with chocolate milk. It’s also alleged that he was colluding with Vladimir Vladimirovich Putin at the scene of the crime. Mr. Ratcliffe. So that the FBI and the Department of Justice had the opportunity, if they were going to file a FISA application, to say, the central piece of evidence that we’re submitting, this dossier, just so you know, the associate deputy attorney general was involved in this respect and his wife was involved in this respect, so they would have the opportunity to decide what material facts related to that information and provide it to a court. Mr. Ohr. Right. Again, I can’t answer what they were putting into the FISA. I was providing it to them for whatever purpose. Mr. Ratcliffe. Right. But we’ve agreed that those are material facts that you provided and they could have provided. You don’t know whether or not they provided that information to the FISA court or not. Mr. Ratcliffe. But they should have. Mr. Weinsheimer. I don’t think he can answer that. Mr. Ohr. I can’t answer that. Mr. Ratcliffe. Well, I want to make — part of the reason I’m also trying to make this record real clear is there’s someone that’s been appointed to look at potential FISA abuse, United States Attorney John Huber. Have you talked to Mr. Huber? Mr. Ohr. I have not. I mean, I have spoken with Mr. Huber in the past when he was a U.S. attorney, but I have not spoken with him as part of this. Huber supposedly is meeting today with Barr. Probably to compare swamp creature notes. Comapred to these clowns, Barney Fife was Sherlock Holmes. 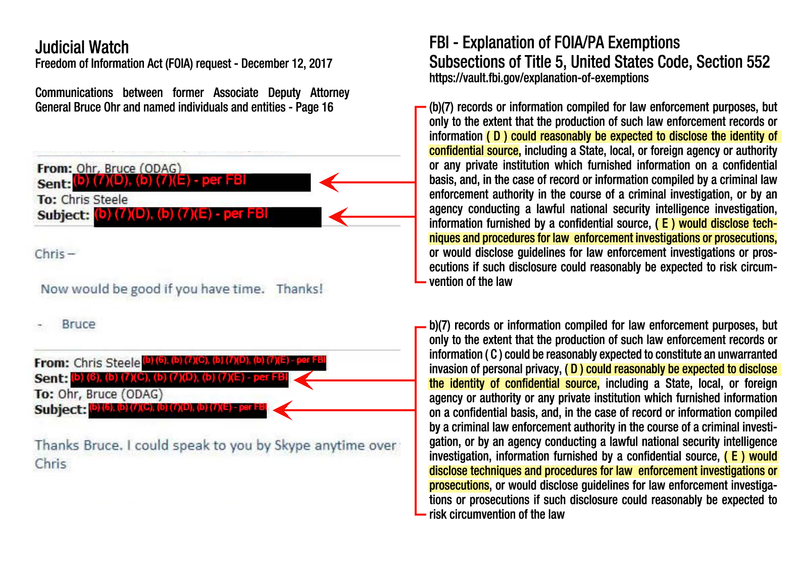 Document shown above, that the FISA warrants were rubber stamped per JW. Never reviewed by FSIC. (reference above), If your making a mud pie that is going to be rubber stamped anyway, then who cares. Who has the power/authority to order a FISA warrant without a FISC review. It came down to one of the following. President of the United Sates or the Gang-Of-Eight. Then was told that the Gang-Of-Eight did not have the authority and so it left the President. So what kind of warrant are we talking about – an emergency warrant, that can last for one year. Apparently this warrant must be approved of and distributed by the setting AG. Why didn’t these regular meetings then start until November? Mr. Jordan. Why didn’t these regular meetings then start until November? Mr. Ohr. I don’t know. Mr. Jordan. What may have been the catalyst for that? Mr. Ohr. I don’t — that would be speculating. Once they provided Joe Pientka’s name to me I made it a practice to contact him every time I had contact. Mr. Jordan. They first provided Joe Pientka’s name to you in November? Mr. Ohr. I think that’s right. Mr. Jordan. So up until then, who was your contact at the FBI? Andy McCabe? Mr. Ohr. As I think I mentioned, I met with Peter Strzok and Lisa Page on, you know, at least one occasion probably in the fall and then on November 21. Mr. Jordan. Okay. When is the last time you visited with — last contact you’ve had with Mr. Steele? Mr. Jordan. November of 2017? Mr. Jordan. All right. How about Mr. Simpson? Mr. Ohr. The last contact was probably the contact we had on January 20 when he was calling to express concern about the safety of the source. Mr. Jordan. January 20, 2017? Sorry, took some time for me to read all of this document! A year long emergency warrant? Is that part of the FISA warrant process? Bruce Ohr testified that (pg. 199) he told Rosenstein about his wife’s work for Fusion in October of 2017. November 2017 was Bruce Ohr’s last recollected meeting with the FBI to brief them regarding Christopher Steele conversations. There were no 302’s after May 2017. Mr. Ohr talked about wanting to get the information to career officials (pg. 82) for evaluation, and yet Andrew McCabe (Deputy Director of the FBI) is who he spoke to first it appears (August 2016). He says didn’t share it with the Deputy AG (Yates) in his department. Because of the Carter Page FISA warrant and Donald Trump’s election, it seems the FBI/DOJ was kind of stuck with Christopher Steele for better or worse. With the Judicial Watch FOIA and the seeming interest Christopher Steele had in the concept of the “special prosecutor”, it seems to me they kind of had to have a run out (wind down) period with Christopher Steele once an actual special prosecutor got appointed. You have to keep everyone happy sort of thing, IMO. I am speculating that Rosenstein already knew about Bruce Ohr’s wife’s work from other DOJ or FBI personnel before Bruce Ohr told him. A year long emergency warrant? Yes, according to the documents, I have read. The setting President can do it. I am of course paraphrasing all the information. According to the Gateway Pundit the DOJ was paying Nellie Orh during the time frames of 2015, 2016 and 2017. So of course, Rosenstein knew about Nellie Orh. These clips of McCabe’s interview with NYT Goldman are interesting too after reading through the Bruce Ohr testimony (which I did…yay!). I think I have enough understanding for me…especially looking back at John Ratcliffe’s interview with Maria Bartiromo in October 2018. It will be interesting what the Senate Judiciary FISA Abuse probe turns up and undoubtedly this will get the attention of Barr/Huber. Kudos to Rep. Doug Collins for being willing to take the first step in pushing the ball into play with the release of Bruce Ohr’s testimony. Well, since Roberts picked the FISC judges he would be in a good position to influence the flow work. Remember our 9th circuit court? That FBI lady said she hardly looked at it because McCabe and them gave the OK to her basically to sign it without any real review. Interesting! But, I would to know what Lynch actually did with the FISA warrant from Carter Page? My impression is – thats what they all did. All, I can do of course, is to provide my speculation. It seems to me that Obama’s PDBs in 2016 were being produced with information from two sources, the Carter Page FISA request after October of 2016 and the 5Eyes search requests dating back to very early 2016. I believe that Obama was the authority used for both types. Can I prove it, no. How long will it be permitted to go on? FISA cuts both ways. Time will tell. Just saying. I’m glad Rep. Collins released Mr. Ohr’s transcript. The DOJ should have released it long ago. Mr. Ohr. I don’t think I have anything to add. As I said before, I’m happy, privileged to work for the Department of Justice, and I continue to pursue that mission. RATCLIFFE: …Nellie Ohr, Bruce Ohr’s wife, certainly can shed some light with respect to that circumstance. But we also need to find out from Nellie Ohr, who was paid $40,000 by Glenn Simpson and Fusion GPS for her work, including the work on the Steele dossier, why that fact, the fact that the wife of the number four person at the Department of Justice, who, along with her husband, had operational roles with respect to the Steele dossier, that that fact wasn’t disclosed by the Department of Justice when they presented that evidence to the FISA court. BARTIROMO: So — so, where is the crime then? Is it her husband? Or is it her? She did all of this research, which was never verified, on Donald Trump, and then put it in this dossier, and then put it on a little thumb drive and gave it to her husband at the DOJ, who wasn’t even working on anything about Trump at the time. RATCLIFFE: Well, ultimately, the questions with respect to the FISA court and the representations that were made, remember, what we’re talking about is the extraordinary measure of getting a warrant to spy on an American citizen. And if that was done under false pretenses, with false information or false verifications, then that’s violating someone’s civil liberties under color of law, 42-USC-1983 violation. So that’s why we need to talk to Nellie Ohr and others to try and determine what the FBI knew, when they knew it, what the Department of Justice knew, when they knew it, and why those representations weren’t fully disclosed to the FISA court. Where can I find a document containing the Bruce Ohr handwritten notes from 2016, e.g., his notes of his December 2016 coffee-shop meeting with Glenn Simpson? These notes are referenced in numerous articles in 2018, but a link to the notes is never provided. Were they ever made available to the public? I’d like to read Ohr’s notes myself. Thank you for your help!